I get upset at some eulogies. After their lifetime – they describe the person – “He loved to play cards.” Sob. Sob. Is that the goal of a person in life? Is that their major contribution to society? That they were able to win at blackjack or poker? The problem is is that people don’t know who they are and what they can achieve in life. I was thinking about if following Judaism makes a person lose his or her individuality or does it make them more unique? Jewish Laws are practically the same for all Jewish Men. Wake up, Pray, Learn Torah, Work, etc. Jewish Laws are practically the same for all Jewish Women. Wake up, Pray, Dress Modestly, etc. So It seems that Judaism wants people to be the same. It depends on how you define individuality. 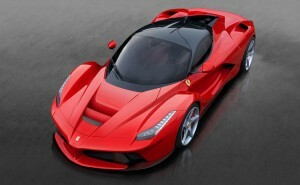 Is individuality of the person based upon what they wear and the toys – iPhone, Ferarri, iPad – they play with? Or is it based upon the inner values and actions of the person? Take two people – each one has the same property – a nice car, a nice house, a large bank account. Not really. One could be using his house for hospitality, while the other does not. One might be giving much money to charity, when the other is using it for their own luxuries. One may use his or her car to drive their family to give them a pleasant life, while the other uses it to drag race. So what really defines the individual? Why makes people who follow Torah the ability to be really unique? Apparently it is the focus on values – doing good deeds and the like. A person who follows Torah – learns the Torah outlook of doing good for others. When a person focuses on what they can do to help others, it make for a greater individual. When a person sees the importance of helping others, they develop their personality and use their talents and strengths to help others. This increases their goodness and makes them into a better individual. It helps them to use and develop their own unique qualities for the good of man and mankind. However, When a person focuses on materialism – their toys and their bank account changes but they remain the same. They stay that same old person that they were 10 years ago. It is the ultimate stagnation. They remain with the old antiquated ideas that society and newspapers have been feeding them for years. “Drink Coke and You’ll be Happy.” Really? Obviously each person has good qualities. But we point out extremes to get the point across. I believe in the power of a person and feel every one has the potential to be great. A person need not change their life radically to become a better person. One small change one can make is to focus on doing the things for the sake of others, or for the sake of the Torah or for the sake of G-d.
A person who is a physical therapist, might be in it for the money. If their attitude changes that their main priority is to help people, they get a Mitzvah by doing the same exact thing they were doing before. Or lets say a person is a wealthy stock broker. Instead of having the intention to make money to boost their own bank account, they can intend to make money to also help struggling Torah scholars in Israel. Recently, many Billionaires have the intention to leave a large portion of their fortune to worthy causes. They get the idea. The idea is not to be in it ust for yourself but to help others. Apparently we can understand why many became billionaires – that they are big enough to realize that their money was given to them for the good of others. They are big enough to give billions for the good of society. This is a Torah concept, giving to help the welfare of the world. Another small change is to use time productively. One can take five minutes daily to listen to a Torah audio – while driving or during a break. Learning Torah has been made much easier with the advent of online Torah mp3s. Taking a small mitzvah upon oneself is another small change for self-improvement. If one is gentile, accepting the 7 noahide laws or if one is Jewish, accepting the 13 principles of Judaism is also a positive and essential step. Sometimes a person wants to do good, but they have a misaligned attitude. They believe by hurting innocent people “for the Sake of G-d” is what G-d wants. Nothing can be further from the truth. Thus one must first align themselves with what G-d truly wants from them before doing good. If one is unsure if something is good or not, one can consult a competent orthodox rabbi. I recently listened to an Audio by Rabbi Akiva Tatz. it is called Inner World – Defining one’s Role in Life. Rabbi Tatz, an excellent lecturer, explains some of the concepts above but also mentions – that a person should take a large piece of paper and make a big circle in it. They write all the resources that a person has at their disposal in the circle. Physical resources, Character Traits, Strengths, Qualities. When one lists them in this circle one can more easily see a picture of that that you are endowed with with which you can help the world.